These pages will be added to regularly. 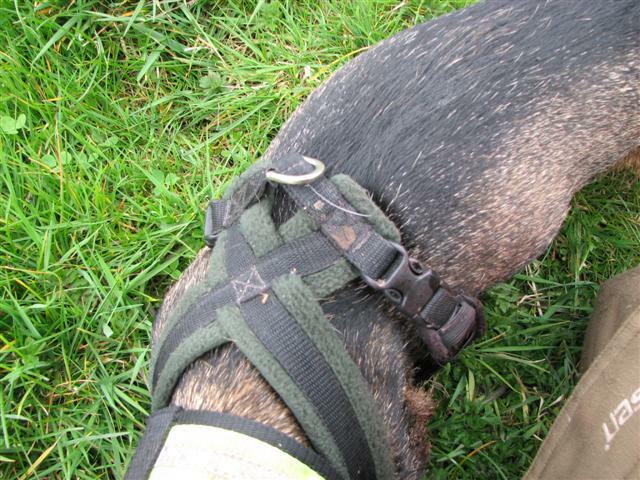 After trying many harnesses I settled for the harness shown here, it is a soft material with a clip on either side of the body making it very easy to put on, it simply slides over the dogs head and fastens on each side.The lead fastens on the top of the harness which I find is much better than below. 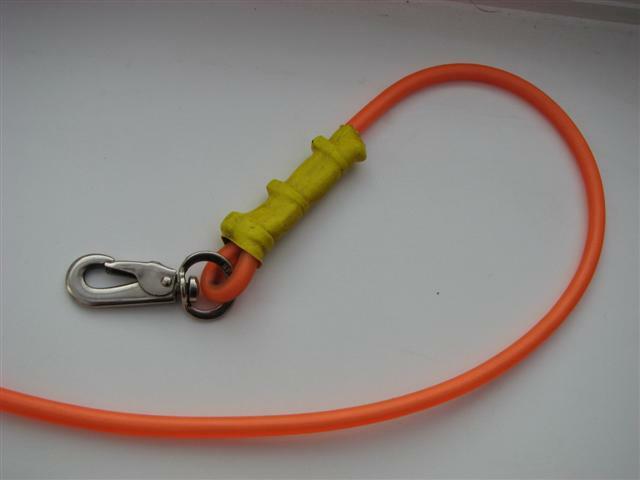 The lead I use is a synthetic lead that is supposed to be virtually indestructible and will not burn your hands, although this hardly applies to Teckels it is handy when handling larger breeds. It is very light and completely water proof. I attached the clips my self using cable ties and heat shrink wrap designed for use with cables etc. It is available in long lengths that enable any length to be cut to size. 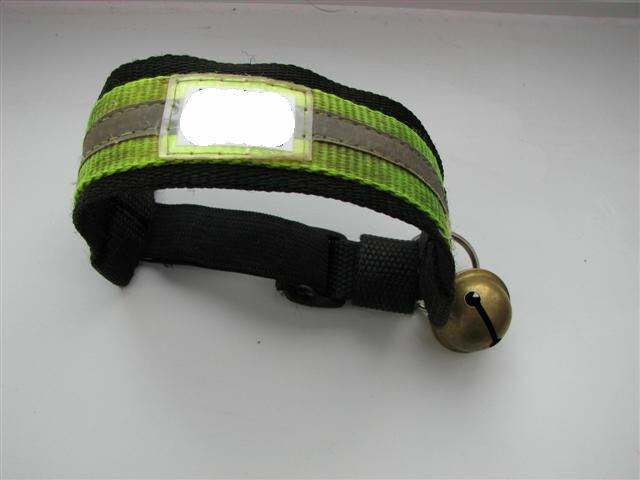 A handy item is an address collar, I use an elasticated type that will come off over the dogs head if it gets caught on a branch etc, a bell can also be attached if needs be. I think a reflective stripe is also benificial. It is advisable to get a pup started on blood trailing at an early age, I have started my own pup at about 4ths old, but she has had deer skin and feet to play with since her eyes where open . I also take an empty plastic milk carton with me , the small ones are ideal, they take little room up in the roe sack. 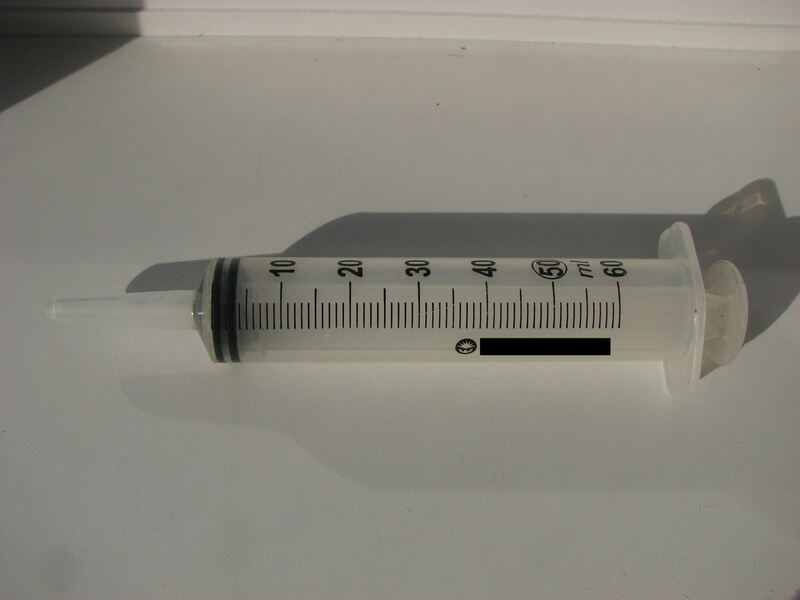 Blood can be frozen and kept for many weeks but before I use any blood , fresh or frozen I use a small hand held blender to take out any clots, To start with I use the large syringe to lay the trail. It will only get maybe 12-15 yds, but long enough to start with. As the pup progresses I use an empty washing up liquid bottle. This will be enough blood to lay a good trail. One tip I have is to use markers as you lay the trail, it is so easy to lose the start when you come back with the dog ! markers also help in advanced training to mark turns in the trail etc. I always leave either a deer foot or piece of skin for the pup to play with at he end of the trail, if this is not enough to keep it interested try leaving small pieces of meat or even dried dog food along the trail, with a larger portion of meat or dog food at the end.